Last April was the 150th anniversary of the start of the American Civil War. High school social studies teachers of the subject, and many American textbooks for that matter, tend to outline it as a conflict between North and South. In reality, the Civil War was a Western war, and one that redefined an entire nation: North, South, and most importantly, West. Left out of the history books, and almost completely faded from historical memory, is the curious character of Asbury Harpending (who forgets a name like that? ), and a plot by Southern elites that, if it was successful, would have delivered California to the Confederacy in a single move. Such an event would not only have ensured a Confederate victory, but would have fundamentally altered the course of American history. Asbury Harpending arrived in California with nothing more than a revolver and a 5-dollar note. 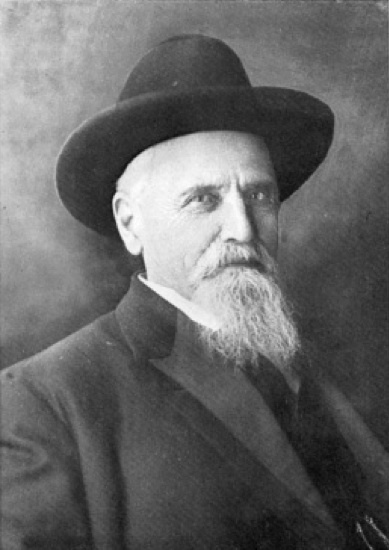 His memoirs, which he wrote at the end of his life, told a tale of a secret society formed San Francisco in 1861. One day, thirty men, all Southern sympathizers, gathered in the home of an unknown wealthy San Franciscan. After swearing an oath of secrecy, the unnamed leader, whom they all called “General,” gave them their orders. Each man was to assemble a band of one-hundred men and “organize an army of Southern sympathizers, sufficient in number to beat down any armed resistance.” Then, together, they would seize the arsenal at Benicia, which housed all of California’s arms and munitions, and Alcatraz Island—the largest military fort west of the Mississippi. At the start of the war, the Commander of the Pacific was General Albert Sydney Johnston. Johnson was born in Kentucky, a hero of the Texas revolution, and was in a position to hand over the entire Western coast to the Confederacy. Harpending later wrote, “This was the man who had the fate of California absolutely in his hands. No one doubted the drift of his inclinations (35).” Johnson, however, had heard rumors of a plot. According to the Congressional Record, for safekeeping, he ordered the 10,000 muskets, 150,000 rounds of ammunition, and percussion caps located at Benicia Arsenal moved to Fort Alcatraz. If this plot had been successful, it would have meant a complete capitulation from the people of San Francisco and would have fundamentally altered the course of the war. 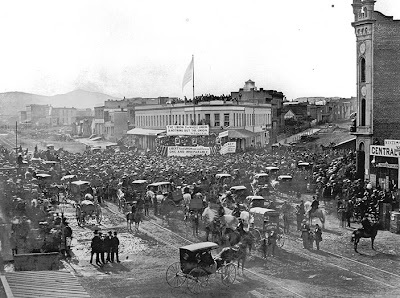 Putting California in play during the Civil War would have altered Union strategy. 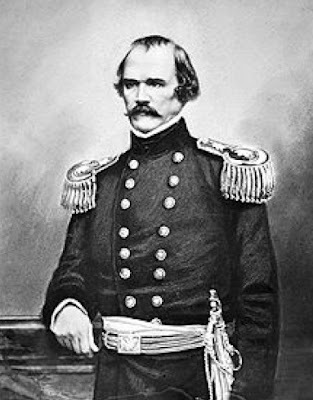 Union generals would need to divert troops to California, a lengthy journey by land, and an even longer one by sea, taking soldiers away from the South. In that time, the secessionists could have consolidated their numbers, prepared for their defense, and sat and waited for the Union army. It also would have torn apart California politics, as the Democrats and Copperheads had an active presence in San Francisco and other California cities. With military might behind them, there could have been the possibility for another situation similar to bleeding Kansas. With Alcatraz and Fort Point in the hands of secessionists, nothing remaining could have protected the West Coast. In addition, the gold that exited the Bay would not have made its way to the Northern lines, but down through Arizona, New Mexico, and into Texas and the Confederacy. Such an event would have altered the course of American history because the Confederacy might have won the war. With the plot dead, the Committee of Thirty disbanded, each going their separate way. “And the rest,” as the cliché goes, “is history.” For other stories from the life of Asbury Harpending, his memoirs, The Great Diamond Hoax and Other Stirring Incidents in the Life of Asbury Harpending, is available on Google Books. Rodger Lotchin, San Francisco, 1846-1856 (New York: Oxford University Press, 1974), 30. T.F. Cronise, The Natural Wealth of California (San Francisco: H.H. Bancroft, 1868), 80. For extensive descriptions of virtually every manufacture, see Chapter XI, page 596. Qtd. in Leonard Richards, The California Gold Rush and the Coming of the Civil War (New York: Alfred Knopf, 2007), 230. Asbury Harpending, The Great Diamond Hoax and Other Stirring Incidents in the Life of Asbury Harpending (San Francisco: James H. Barry Co., 1913), 26-30.